Image via Escentual. I write for Escentual as their Fragrance Expert and am therefore affiliated. My views however, are my own. Posted in Christian Dior, Escentual, Perfume Reviews and tagged Christian Dior, Dior, Escentual, Hypnotic Poison, Hypnotic Poison Eau de Parfum, Hypnotic Poison EdP, Perfume Review. Bookmark the permalink. 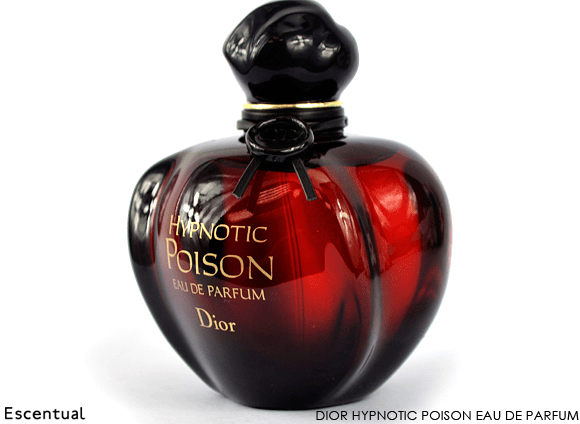 I adore Hypnotice Poison and agree that it is the best of the Poisons. It surprises me actually as normally I avoid gourmands, but this is more like vanilla and almond brandy. Delicious and addictive! “Vanilla and almond brandy” – I really don’t think I could have described it any better than that! Why thank you. I’m blushing. It’s the only gourmand that I am just mad about . I adore it! Woo! Let me know how you get on!